President Trump announced the nomination of an Indian-American as ambassador to Peru June 28. 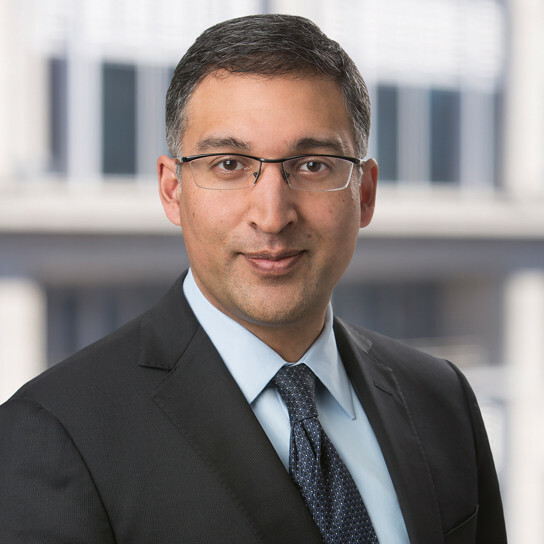 Krishna R. Urs of Connecticut will become the Trump administration’s first Indian-American diplomatic appointment envoy to a country, if his nomination is approved by the U.S. Senate. Urs, a career member of the Senior Foreign Service, class of Minister-Counselor, has served as an American diplomat since 1986. He is currently Charge d’ Affaires of the U.S. Embassy in Madrid, Spain, where he was also the Deputy Chief of Mission. He speaks fluent Spanish as well as some Hindi and Telegu. On his LinkedIn profile, Urs says “I’m a Foreign Service Officer with extensive experience managing large Missions overseas and units in the Department of State. In 30 years with the U.S. Government, I have served mainly in Latin America and South Asia, as well as in Washington and in Europe.” As Chief Operating Officer for U.S. Embassy Mission in Spain, Urs manages relations with the major NATO ally and key economic partner and supervises 350 staff members. During his three decades of State Department service, Urs has specialized in economic issues and developed extensive policy experience in the Andean region of South America, the White House said in a press release. Prior to that, he served as Director, Aviation Negotiations, where he oversaw U.S. Transportation Policy, serving as U.S. Government-lead aviation negotiator. He personally led successful talks with European Union, Russia, China, Brazil, Canada, Japan and others. From 2006 to 2009, he was Deputy Chief of Mission in La Paz, Bolivia, overseeing a staff of nearly 1,000. From 2003 to 2006, Urs was Director of the Office of Economic Policy and Summit Coordination at the State Department’s Bureau of Western Hemisphere Affairs. In that position he coordinated all economic and Summit of the Americas-related policies for the Americas. He oversaw CAFTA implementation, and coordinated U.S. negotiating team efforts at the 2005 Summit of the Americas. Prior to that, Urs was Acing Deputy Chief of Mission at the U.S. Embassy in Santo Domingo, Dominican Republic, where according to his profile, he oversaw a budget of more than $50 million and led a successful efort to achieve negotiation of U.S. and Dominican Republican free trade agreement. Earlier in his career, Urs also served as Pakistan Desk Officer at the State Department from 1994 to 1996. Urs has served at seven United States embassies as well in senior leadership positions in Washington, D.C. Apart from other awards, Urs has received the Senior Performance Award nine times from 2007-2017, as well as the Presidential Meritorious Service Award. He has an M.S. from the University of Texas and a B.S. from Georgetown University. He is married to Denise A. Urs, also a Foreign Service Officer and currently Deputy Executive Director at the State Department.